NEW Protyre data reveals a 'North South Divide' in the MOT fail rate following stricter Government regulations. MOT fail rates have reached up to 25% in several key areas of the Midlands and the North of England in the 7 months following the introduction of stricter MOT tests by the Driver and Vehicle Standards Agency, according to new data from Protyre. Revealing a 'North South Divide,' 5 of the top 6 areas for MOT failures are in the Midlands or the North of England; while 5 of the top 6 areas for MOT passes are in the South of England. This is in stark contrast to 2017, when the North overall had the lowest MOT fail rate in England and Wales. The UK's fastest growing supplier and fitter of tyres and automotive services, with 150 garages, found a 12% average MOT fail rate across all Regions of England and Wales in this same period (June to December 2018). In the 7 months following the Government MOT changes, around 25% of all MOT's failed in Cumbria and the Devon and Cornwall area; while at least 20% of MOT's failed in Leicestershire and Warwickshire. Higher than the national average, around 1 in 7 MOT's failed in:- Greater Manchester. Cumbria (20%) and Greater Manchester had the largest increases in MOT fails in the 7 months following the new Government regulations. In contrast, Oxfordshire and Hampshire had the highest proportion of MOT passes (95% or over) followed by the Bristol and Somerset area, the Lancashire and Merseyside area, Wiltshire and Essex. At a national level, Wales, which had the highest MOT fail rate in 2017, had 1 of the lowest MOT fail rates (13%) in the last 6 months of 2018 following the new MOT rules. New Government regulations on MOT's came into effect on 20 May 2018. These include new defect categories, exclusion of some vehicles over 40 years old from needing an MOT and stricter regulations on emissions from diesel cars with diesel particulate filters. Although designed to reduce emissions, it is now the law that any vehicle with a diesel particulate filter has to be failed automatically if smoke of any colour is seen from the exhaust (as this could be evidence of tampering). Protyre's National Retail Operations Manager, David Sholicar, comments:- "Any change in the MOT fail rate in the immediate months after the Government's MOT changes isn't surprising given the new fault categories and stricter testing of diesel vehicles required by law. However, there are still several really easy and inexpensive things that drivers can do to help them pass. At the very least, I'd recommend cleaning number plates and checking the lights, replacing any lightbulbs and old wiper blades and checking tyre pressure and tread; it could be the difference between a pass or fail. Protyre are happy to check these items with no charge. 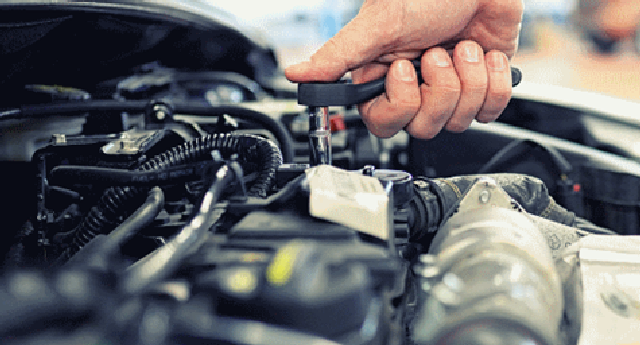 Regular servicing will help extend your vehicles life, plus a regularly professionally serviced vehicle is more likely to pass the more stringent emissions test." SMOKERS on Merseyside are being urged to take a deep breath and make the decision to give up for good. Wednesday, 13 March 2019 was national:- 'No Smoking Day' the annual celebration of kicking the habit and the theme for this year was:- 'Quit Your Way.' The campaign is running throughout the year and is urging those who want to say farewell to the fags to share their secret for quitting with others. Liverpool has long led the way in encouraging residents to quit through a series of high profile initiatives. For example, back in 2004, Liverpool City Council campaigned for a change in the law to enable it to require enclosed public places and workplaces including:- public transport, company vehicles, restaurants and bars to be 100% smoke free. The pioneering move sparked a national debate and led to the Government introducing legislation. The move was influential in leading to smoking rates in the City being slashed by ½ in 2017. But the fight didn't end there and this year campaigners in Liverpool are more committed than ever to help people pack in. Today, Smokefree Liverpool is commissioned by the City Council to provide services for those who want to stop and studies show that whilst 66% of smokers want to stop, 20% of adults in the UK continue to smoke. With the benefits of quitting smoking are many; from reducing your risk of major illness through to improving your taste buds and saving money. 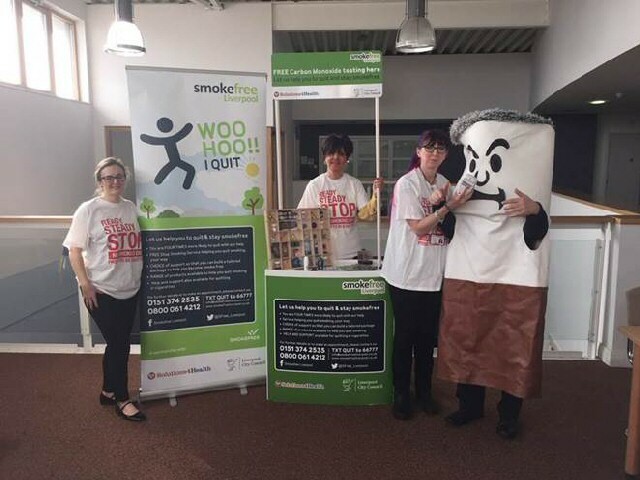 Samantha O'Loughlin, who is the Regional Health Improvement Manager at Smokefree Liverpool, said:- "No Smoking Day is the perfect time to motivate people to stop smoking. Smokefree Liverpool provides a free, local, tailor made service to Liverpool residents using both face to face clinics, telephone support and online information. As smoking remains 1 of the leading causes of premature death in Liverpool and the UK, providing free support to smokers can help to reduce the risk of people developing smoking related illnesses. With support, smokers are more likely to succeed in stopping smoking for good. That is why Smokefree Liverpool is regularly out and about not just on No Smoking Day, educating smokers on the range of local services and resources available to them." Smokefree Liverpool, run by Solutions 4 Health, now has 60 locations across the City for people to get free support. This includes advice from specialist stop smoking advisors, free carbon monoxide tests and products that can help. Liverpool City Council's Cabinet Member for Health, Cllr Paul Brant, said:- "We have taken great strides to stamp out smoking in our City and many members of the community have answered the call and quit for their own health and wellbeing and for those around them. However there is more work to be done and smoking remains 1 of our biggest killers. Giving up smoking is the biggest single thing you can do to improve your health. It can prevent you skin from ageing prematurely and can keep your teeth white and healthy. The bonus is it could save you up to ₤2,000 a year. It may seem difficult at first but the end results are more than worth. This no smoking day we are urging everyone to never give up giving up." To access Smokefree Liverpool's free support you can now go online at:- SmokeFreeLiverpool.Co.UK, call them on the Free Phone number:- 0800 061 4212, text:- 'QUIT' to:- 66777, or visit in person 1 of the 60 locations across the City.